This year, Diptyque celebrates its 50th anniversary, and to celebrate the premium candle maker has collaborated with great British institution, Liberty to create Insolite, a limited edition candle designed exclusively for the London store. 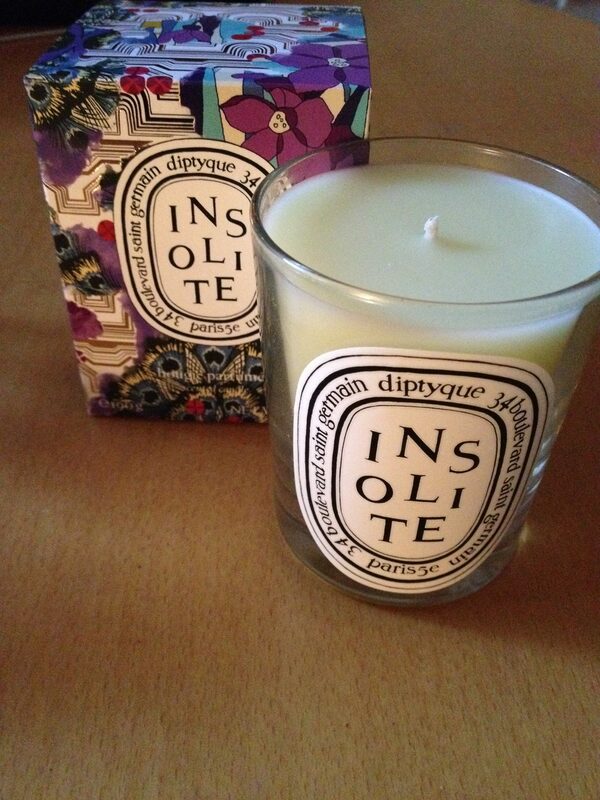 And if you’re looking for a scent that sums up Christmas 2013, Insolite has your name written all over it. But first, the packaging – the box features an intertwined Liberty fan pattern print to give a distinctive design feel. The fragrance, created by perfumer Cecile Matton, is a heady concoction of warm and cold spices, delicate leaves and petals, along with zests and peels. The top notes are orange and lime, warmed by a heart of ginger, clove and flowers. Harmony is provided by woody cypress and thyme. It’s a truly beautiful and unique scent. If you want to get your hands on Insolite, be quick as only 5000 have been made. It’s available at Liberty London as well as www.liberty.co.uk, and costs £45.